So, you’re buying a house… your first time. Or, at least, you’re thinking about buying a house. That’s excellent news! Home ownership is a terrific way to create stability in your life and to start building wealth for your future. But, it’s also an emotional time and one which is fraught with stress. There’s so much money involved when you buy a home and every decision can be analyzed then analyzed again. So, how do six million people manage to buy new homes each year? With preparation and attention to detail. You can’t know everything there is to know about buying a home — especially when you’re a first-time home buyer. But, you can do a little research and put yourself in position to succeed. The more you know, the better off and less stressed you’ll be. You may even get a better deal on your home loan. 3. What Mortgage Is Best For Me? 4. What Happens After I Pick My Mortgage Type? According to the National Association of REALTORS®, roughly 10 percent of all homes are purchased using cash. For everyone else, there’s a mortgage. Mortgages are loans used to finance real estate. You can get a mortgage loan for 100% of a home’s purchase price, so that the home is financed entirely by the bank. Alternatively, you can put some of your own money toward the purchase — a figure known as a “down payment” — so that you finance the amount that’s left over. For example, if you bring $25,000 of your own money to a $250,000 home purchase, you have made a 10% downpayment and your remaining mortgaged amount is $225,000. You can get a mortgage loan from just about anywhere. If you have a favorite local bank or credit union, you’re able to apply for a mortgage loan there. Or, if you have a online bank or lender you prefer with which to work, you can apply for a mortgage loan there, too. Mortgages are ubiquitous — you can even apply for a mortgage from members of your family, if they’re so inclined to make you a loan. As a home buyer with choices, then what’s important to remember is that every mortgage lender will offer slightly different terms and require you to meet slightly different standards. Just because you get approved for a mortgage with Bank 1, for example, doesn’t mean you’ll get approved at Bank 2. And, if you’re approved for a loan at both banks, there’s no guarantee both will offer you the same low rate. This is one of the main reasons why you should plan to speak with two mortgage lenders — at minimum — when you’re in the process of buying a home. It not only helps to have a Plan B, but it’s nice to know that you’re getting the lowest mortgage rate possible. Home buyers today have their choice from more than a dozen different loan types. More than 90% of buyers will end up using one of four government-backed programs. You may also do that. These four programs are the Conventional home loan, the FHA home loan, the VA home loan, and the USDA home loan. These programs are popular for their accessibility, their low rates, and their friendly terms. You can apply for each with your favorite mortgage lender online or in-person. Conventional mortgage loans are what most home buyers think of when they think of “home loans”. There are more conventional loans closed than any other loan type. Conventional mortgages are often the best choice for home buyers with good credit scores and a downpayment of at least 10 percent. However, two conventional mortgage options exist for buyers making a downpayment of just three percent. They are the HomeReady™ home loan and the Conventional 97 option. HomeReady™ home loans offer discounted mortgage rates to buyers in lower-income neighborhoods, minority-heavy neighborhoods, and in areas which have been declared a federal disaster zone. Conventional 97 mortgages offer no such discount, but can be the most economical way to purchase a home with little money down — especially for buyers with extra-good credit. FHA loans represent the next-biggest share of mortgages among U.S. homeowners. The biggest appeal of the FHA loan is that buyers with below-average credit can get mortgage-approved. FHA loans allow buyers to make a downpayment of just 3.5 percent and the program offers flexible mortgage standards for buyers with slightly banged-up credit. FHA mortgage rates are often lower than conventional mortgage rates, but because all FHA loans require mortgage insurance premiums (MIP), the overall cost of an FHA loan is sometimes higher. The VA loan is the next most common mortgage type. Available to veterans and active members of the U.S. military, VA loans offer 100% financing, simplified loan approval standards, and access to the lowest mortgage rates available. For the last two years, VA mortgage rates have consistently beat rates for all other common loan types. VA mortgage rates can be as much as 40 basis points (0.40%) lower than rates for a comparable conventional loan. Available in rural areas and low-density suburbs, the USDA loan is another no-money-down mortgage you can use to finance a home. The USDA loan is meant for home buyers of modest means who are buying modest homes. The program allows for lower-than-average credit scores and offers below-market mortgage rates to qualified borrowers. And, because of how the USDA program defines “rural”, more than 97% of the geographic United States is potentially USDA home loan-eligible. Once you’ve uncovered the mortgage loan type which works best for you, you’ll want to begin thinking about your monthly budget and how much home you can afford. It’s up to you to figure this out. A bank can’t do it for you. So, first, determine your monthly budget and write that number down. For this example, let’s say it’s $1,500 per month. We’ll now work backwards to determine your maximum home purchase price. A mortgage payment is made up of four parts, collectively known as PITI — Principal + Interest, Taxes, and Insurance. Principal + Interest is the mortgage payment. It’s based on the amount you borrow, the interest rate at which you’re borrowing the money, and the number of years you will have the loan. Taxes are assessed on each piece of property. As a homeowner, you’re responsible for paying an annual real estate tax to the local taxing authority. Annual taxes typically range from 1-2% of your home’s value annually. Type of insurance with a property is homeowners insurance. As a homeowner with a mortgage, you’re required to have your home insured, and insurance cost in the range of 0.25-0.50% of your home’s value annually. So, assuming a home purchase price of $250,000 and a ten percent downpayment, we should set aside $400 from our monthly budget for taxes and insurance. This leaves $1,100 to spend on principal + interest. Determining whether a home is “in my budget” will depend on the principal plus the interest payment. And the principal and interest payments depend on the current mortgage rates. Be aware that mortgage rates change all day, every day. And over the course of weeks and months, rates can change by 50 basis points (0.50%) or more. When shopping for a home, then– especially over long windows of time — it’s important to check in with how the market interest rates are moving. Consider the example, where we have budgeted $1,100 to spend on principal + interest each month. With mortgage rates at 3.75%, the payment is $1,043. The home is in-budget. With mortgage rates at 4.25%, the payment is $1,107. The home is out-of-budget. This example shows why we should not shop for homes by “price range” before getting the pre-approval for a loan. The same home is affordable when rates are low and un-affordable when rates increase. However, we do use “price ranges” once the budgeted amount is known after receiving the mortgage broker’s approval for a loan’s set amount. Adjust your target price range based on current mortgage rates. It’s the only true way to keep in-budget. Most of the homeowners with homes listed for sale want to know that the buyers looking at their homes are pre-approved or qualify to purchase their homes. Some will even ask that you bring the letter with you when you preview their home. There are a lot of reasons to be stressed when you’re buying a home, but getting your mortgage shouldn’t be one of them. A little bit of knowledge can go a long way toward keeping calm. Access to good tools can help, too. Use a mortgage calculator to see how today’s mortgage rates might fit within the household budget, and what the mortgage PITI could be. 1. How much of a down payment do I need to buy a home? To buy a home, you may not need a down payment at all. There are various mortgage programs, such as the VA Home Loan Guaranty program and the USDA Rural Housing Loan, which allow for 100% financing. Additionally, U.S. municipalities often offer down payment “grants” to first-time home buyers, which can make it possible to purchase a home with no money down. Absent these programs, buyers should expect to make a minimum three percent down payment for a conventional loan; and 3.5% for an FHA-backed loan. 2. Can I use gift funds for my down payment on a mortgage? Yes, you can use gift funds for a down payment on a mortgage. In order to use a cash gift for down payment, however, a paper trail must show the gift funds leaving the giftor’s account, and being deposited into the home buyer’s account. The cash gift should also be accompanied by a “gift letter” which states the parties involved and their relationship; the amount of the cash gift for down payment; and a statement that the gift is not actually a loan. There is no limit to the amount of monies that can be gifted to a home buyer. 3. Are there any fees when a home buyer works with a real estate agent? No, real estate agents are “free” for home buyers; their sales commission is paid by the home seller. Furthermore, because of conflicts of interest. there are almost no situations in which it makes sense for a home buyer to employ the same real estate agent as the home seller. 4. What is Private Mortgage Insurance or PMI? Private Mortgage Insurance (PMI) is an insurance policy which makes homeownership possible for home buyers who don’t want to make a twenty percent down payment. PMI is paid by mortgage borrowers, protecting mortgage lenders against default and foreclosure. Should a homeowner fail to repay its mortgage, the lender can “cash in” the homeowner’s PMI policy to recover its lost monies. PMI is required with conventional mortgages only, when the home buyer makes a down payment of less than 20 percent. PMI later self-cancels when the homeowner’s home equity reaches twenty percent (i.e. 80% loan-to-value). The most common form of PMI is paid monthly, bundled into the homeowner’s mortgage payment. 5. What are points? How do I know if I should buy them or not? Points, which are formally known as Discount Points, are an optional, one-time payment which give mortgage borrowers access to “discounted” mortgage rates as compared to today’s current rates. One discount point comes at a cost of one percent of the borrowed loan amount, and typically lowers a mortgage lender’s quoted interest rate by 25 basis points (0.25%). Deciding whether to pay points is a personal decision. Home buyers with plans to sell or refinance within a few years should usually not pay discount points. For many home buyers, discount points are 100% tax-deductible in the year in which they are paid. Mortgage credit scores are assigned by the three major credit bureaus – Experian, Equifax, and TransUnion – and scores range from 300-850. Your median credit score (i.e. the middle score) is the credit score used for your mortgage approval. If you only have two published credit scores, which is common among first-time home buyers, your credit score is the lower of your two available scores. Credit scores of 720 or higher are considered to be “Excellent”. Credit scores between 680-719 are considered to be “Good”. Credit scores between 620-679 are considered to be “Fair”. You can get a mortgage approval with credit scores of 500 or higher. The “Road to Homeownership” Guide will help buyers on the road trip to successful Home Ownership. Glean the wisdom from others who have traveled this road before you… been there, done that. This free resource provides valuable insights for buyers with tips for your consideration. If you are a first time home buyer, you do not have to travel this road alone. Guidance is provided with our top notch team of Realtors®, the Martin Group. Let us know what real estate needs you have. We will gladly work with you to accomplish your goal to home ownership. Text or Call 561-624-4544, the Martin Group real estate team. This eBook is a quick read of only 11 pages showing the home buying process, including some real estate tips to make the process easier. Included in this eBook is a summary of a more detailed process with guiding tips. A must read for first time home buyers! 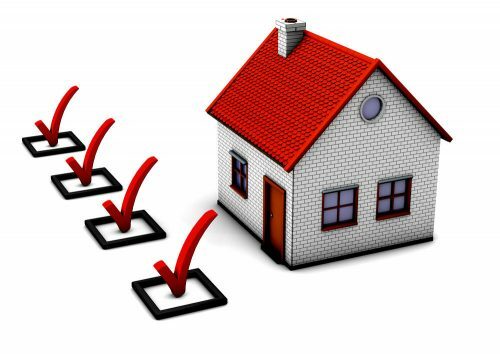 Check out the Buyers preparation tips with some things to do before meeting with the Mortgage Lender or Broker at: Buyer’s Mortgage Loan Preparation Check List. The points there will help you in getting ready to buy your next Palm Beaches home. Having a Pre-Approval Letter from the Mortgage Lender before pre-viewing homes for sale is a very important requirement for Buyers. We will gladly direct you to the right people to get you started with this. As you already know, there is a certain amount of money required to buy your next house. If you want to get a loan for your house, do you know how much your monthly payment will be? If you are not sure, use the Mortgage Calculator to help with figuring the estimated monthly loan payment. Search Homes For Sale in SE Florida using the Beaches MLS system.